Crytek is bringing its swampy early access survival shooter to Xbox and plans to keep gamers on the edge of their seats. You enter the swamps with only a rusty rifle and the goal of escaping alive with a little bit of loot. You know there may be other players out there, but you don’t know how many or where they are. This scenario is tense enough on its own, but when you add in Hunt: Showdown’s grotesque collection of AI-controlled NPCs and bone-chilling sound design, you have one of the most unique experiences available. 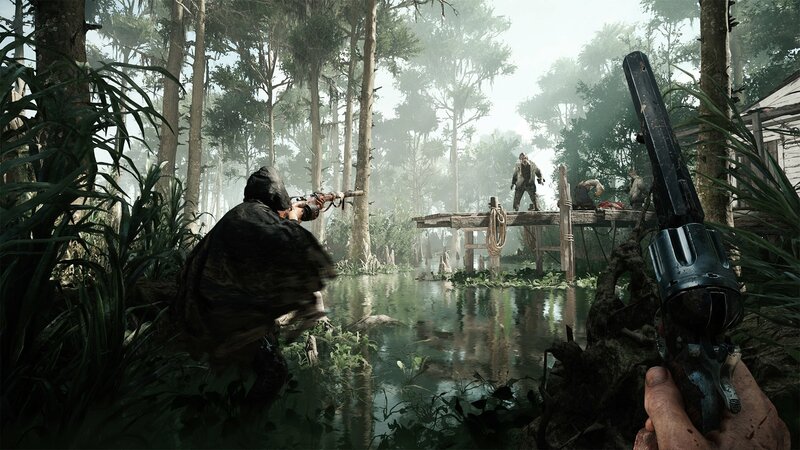 Crytek’s swamp shooter has been turning heads for a while now and is setting its sights on an upcoming Xbox One release. The Shacknews street team is on location at GDC 2019 and got the opportunity to speak with Crytek about Hunt: Showdown and the work on the Xbox One port. The design of Hunt: Showdown forces players to make large risks for large rewards. In the bounty hunting mode, multiple teams of two players try to take down a large boss monster and harvest its remains and escape the map. Standing in their way are all the other enemy NPCs as well as the other player-controlled duos. Every move you make and every sound that results from the player’s action is important, as it could give away position or attract monsters. The team also explains the reasons for choosing the bayou setting and how foreboding vibe makes it an excellent candidate for a game like this. The playing area represents a realm that is trapped between heaven and hell, which would explain the symbolism behind some of the in-game art and markings. Hunt:Showdown keeps players on edge by constantly ratcheting up the tension. The Xbox Game Preview version will be kept very close to the development of the original PC version. The team is working as hard as possible to keep the console version current with the latest developments. 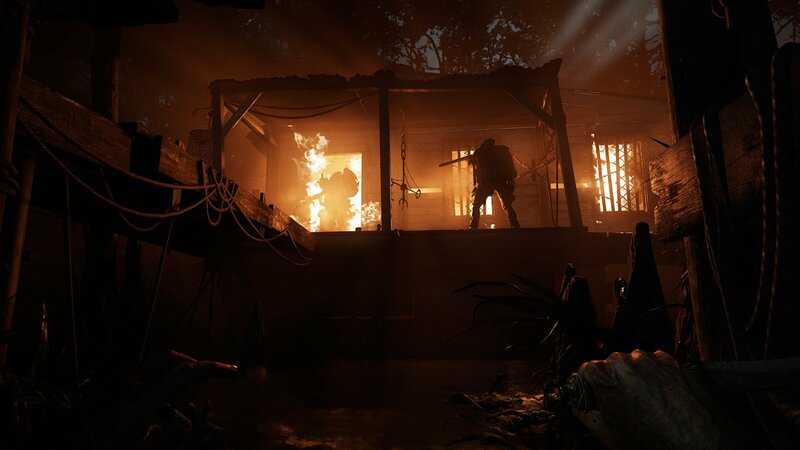 The team also talks about integrating the latest advancements for the CryEngine, which powers Hunt: Showdown. Console gamers can expect to see the game enter the Xbox Game Preview program later this spring. PC players can play the game right now on Steam.